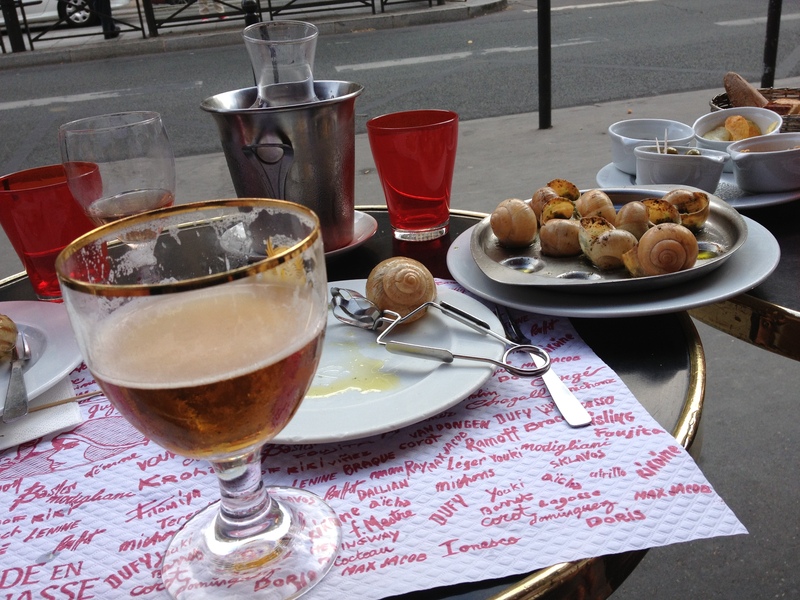 Our eating tour of Paris’s historical brasseries began last night at La Rotonde, in Montparnasse. This café was a favorite of Picasso, Modigliani, Kiki, Man Ray, and many other Modernists. It was also frequented by Russian revolutionaries before World War I, including Lenin and Trotsky. Whatever their political or artistic disagreements, I feel that all these characters would have agreed that our escargots were magnifique. Published: August 19, 2013 Dimensions: 3264 × 2448 Posted in: Paris Gallery Post a comment or leave a trackback: Trackback URL.